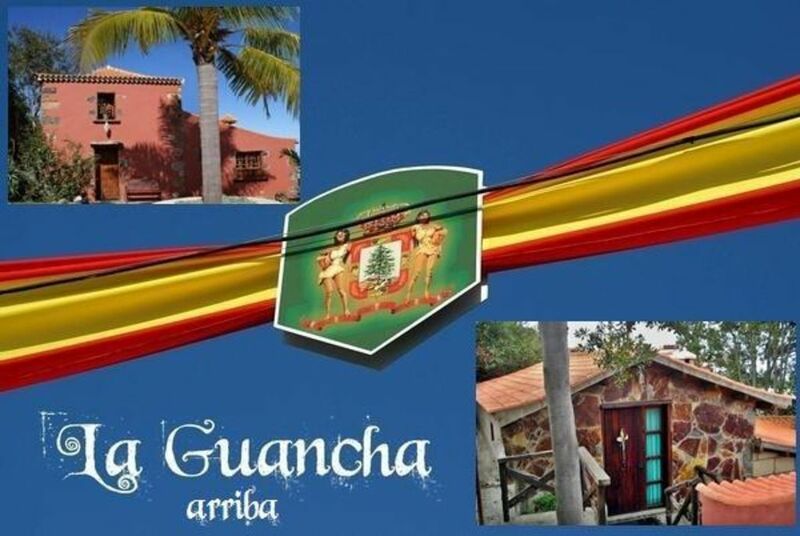 The finca and the guesthouse is located in the upper part of La Guancha in the north of Tenerife. Overlooking the church and the sea there are only few steps to the center with many shopping opportunities. The house itself is detached behind the main house (Finca), extends each of which has a private entrance in the building on two levels. In the lower area, with access to a terrace (about 15 square meters), is the kitchen, a separate bedroom (twin beds) and a guest toilet. In the upper section there is a living room and bedroom (queen size bed), a stove and a bathroom with bathtub (shower). The entire garden area can be shared, depending on the fruit stand and the seasons you may also like to nibble (Nispero, figs, plums eggs, bananas), and at the bottom area there is also a covered outdoor barbecue. Small divergences can seem above all weather-partly always. Unfortunately, we have on it no influence. Further there are only a few walking minutes removes some children's playgrounds with benches. Note: This display is set by the owner. Final cleaning: once per object Costs amounting to 65 EUR (Mandatory). La Guancha, not far from Puerto de la Cruz and located between Los Realejos and Icod de los Vinos, a town in the corresponding infrastructure of a major city, yet the village life is also determined by agriculture and wine growing. The Parish "Dulce Nombre de Jesús" dates from the 17th century, and the Baroque high altar and several beautiful portraits there are especially attractive and available on the forecourt so some Fiestas instead. Surrounded by forest slopes and hiking trails with viewpoints one has wonderful views from here to the valleys, the sea and the Teide. There are several recreational areas with barbecues and picnic tables, as well as many children's playgrounds. Furthermore, there are also bus connections in all directions of the island.